When seeking clarity, focus and perspective count. 170 N. Radnor Chester Rd. Clarity Financial Planning Group can help you take control of your financial future and achieve your goals and objectives. We believe that the path to financial security starts with getting to know what matters most to you, and then creating a written, goals-based plan. This highly-personalized plan will allow you to objectively evaluate strategies and solutions and make well-informed decisions. You’ll find that once you’ve experienced our process, you will feel more in control of your finances and more confident that you will reach your goals. Whether you’ve done a lot of planning or none at all, the time to start is now and we’d be honored to help you. Wherever you are on your financial journey we can help you get on the best path toward achieving your goals. Andrew Landon Schultz , Nicholas B M Kemp Jr and Richard N Brown use Clarity Financial Planning Group as a marketing name for doing business as representatives of Northwestern Mutual. Clarity Financial Planning Group is not a registered investment adviser, broker-dealer, insurance agency or federal savings bank. Northwestern Mutual is the marketing name for The Northwestern Mutual Life Insurance Company, Milwaukee, WI (NM) (life and disability insurance, annuities, and life insurance with long-term care benefits) and its subsidiaries. 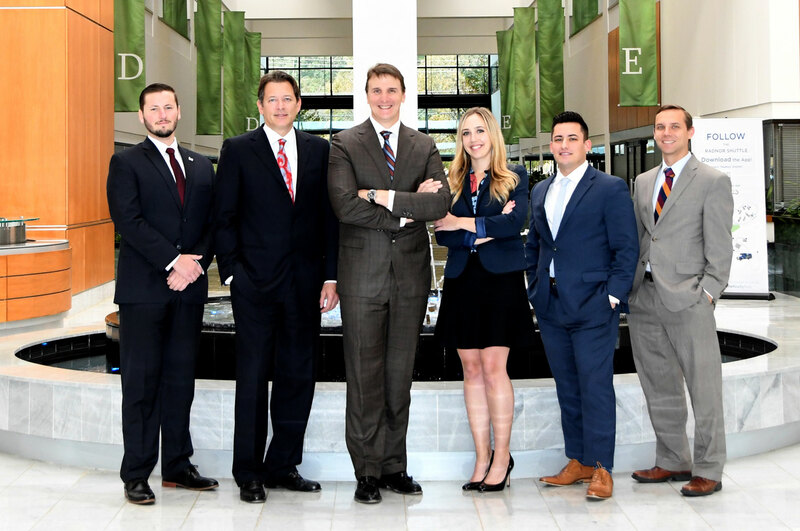 Andrew Landon Schultz , Nicholas B M Kemp Jr and Richard N Brown are Representatives of Northwestern Mutual Wealth Management Company® (NMWMC), Milwaukee, WI (fiduciary and fee-based financial planning services), a subsidiary of NM and limited purpose federal savings bank. All NMWMC products and services are offered only by properly credentialed Representatives who operate from agency offices of NMWMC. Andrew Landon Schultz , Nicholas B M Kemp Jr and Richard N Brown are Agents of Northwestern Long Term Care Insurance Company, Milwaukee, WI, (long-term care insurance) a subsidiary of NM. Andrew Landon Schultz , Nicholas B M Kemp Jr and Richard N Brown are Registered Representatives of Northwestern Mutual Investment Services, LLC (NMIS) (securities), a subsidiary of NM, registered investment adviser, broker-dealer and member FINRA (finra.org) and SIPC (sipc.org). Andrew Landon Schultz , Nicholas B M Kemp Jr and Richard N Brown are Insurance Agents of NM. Andrew Landon Schultz , Nicholas B M Kemp Jr and Richard N Brown are primarily licensed in PA and may be licensed in other states.